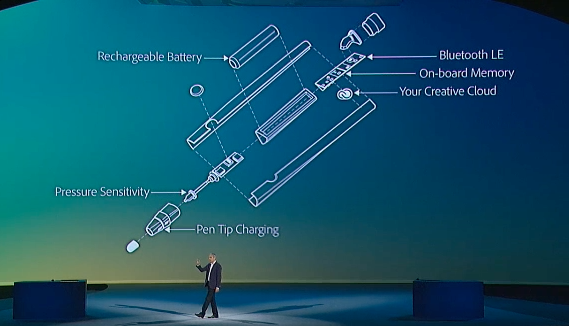 As shown in the image below, the Project Mighty pen features a rechargeable battery, on-board memory, interchangeable tips and Bluetooth support. 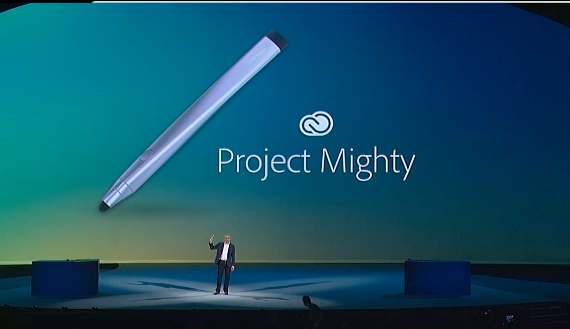 This pen will play a future role in connecting hardware to Creative Cloud. Look below for a photo of Adobe demoing the massive touchscreen display on stage at Max, which resulted from a year-long partnership with Wired. The Project Context interface is similar to a vertically-oriented Surface (the original Microsoft Surface, that is). Here’s another look at the the “Napoleon” ruler in action, placed atop an iPad. 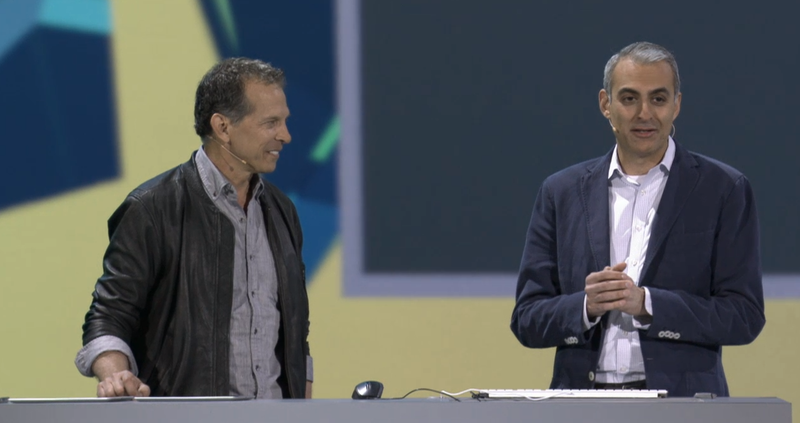 This announcement follows massive news for the company: After nearly 10 years, Adobe is leaving behind its Creative Suite to focus entirely on a new suite of Creative Cloud-only apps and services. For details on why Adobe has made this decision, you’ll want to head here. Adobe is pointing all of its energy towards Creative Cloud, eliminating the familiar retail box in the process. Like last year, the company is releasing an updated suite of applications this June, newly branded as “CC” apps. This includes: Photoshop CC, InDesign CC, Illustrator CC, Dreamweaver CC and Premiere Pro CC. To dive into the new features, head here.